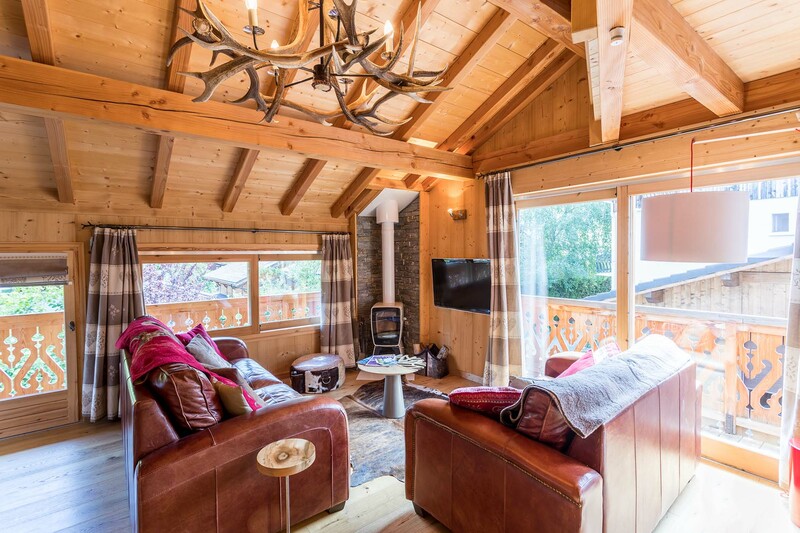 Chalet Cristal is located in a highly enviable position in Morzine minutes walk from the town centre and ski lifts it was recently refurbished to a high standard, with a chic and cozy mountain chalet feel, this property offers all you need for a fantastic winter or summer holiday in Morzine. 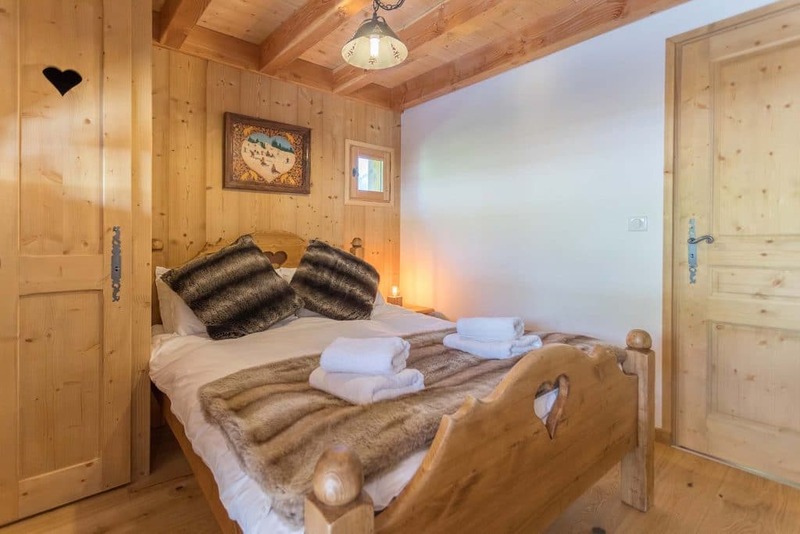 Chalet Cristal is beautiful little chalet set just off a quiet road in the centre of Morzine town. 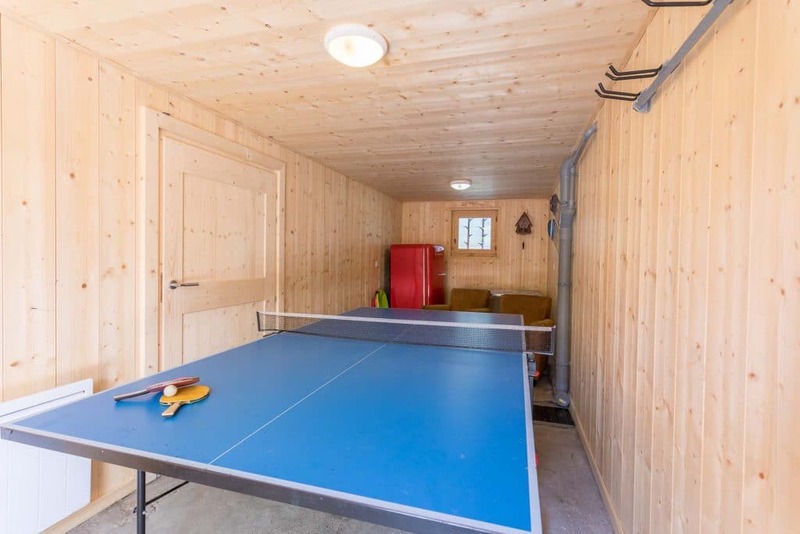 This property has been furnished and kitted out to the highest standards. 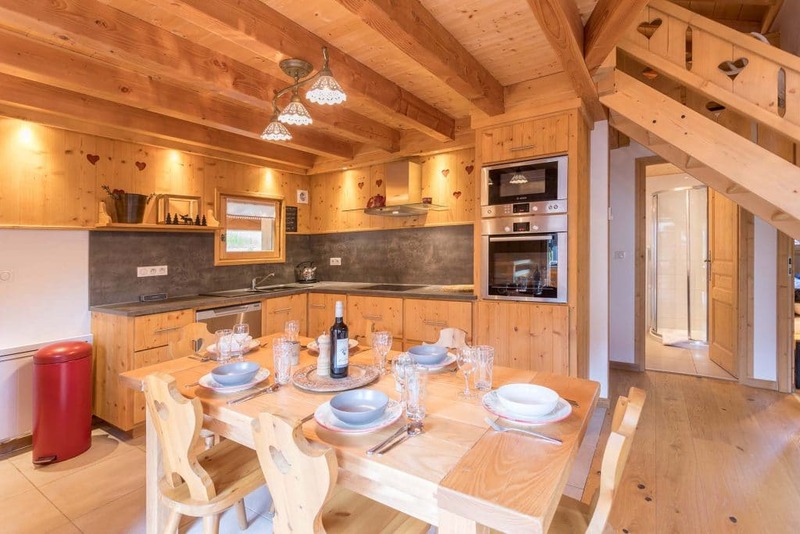 It has a awesome open plan living consisting of kitchen, lounge and dining area. 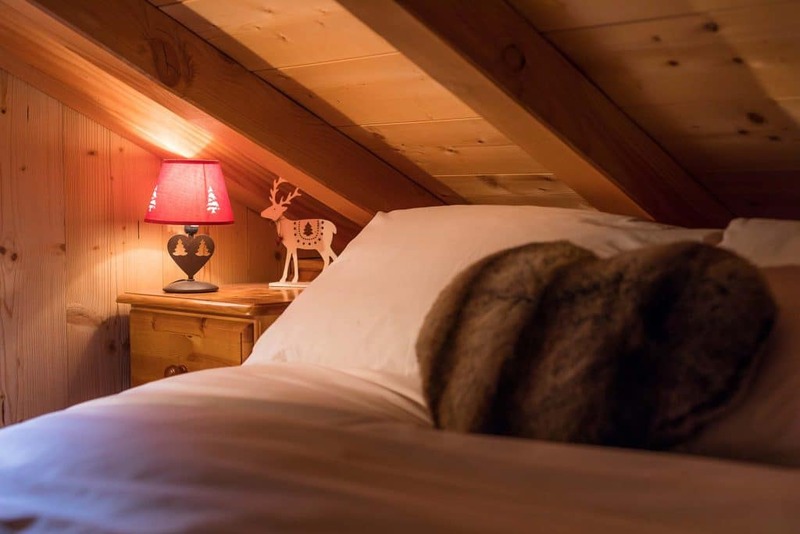 The 2 double bedrooms are perfectly sized, with the mezzanine providing an extra sleeping area with 2 more double beds should your group need to sleep a few more (but mind your head as it is low). 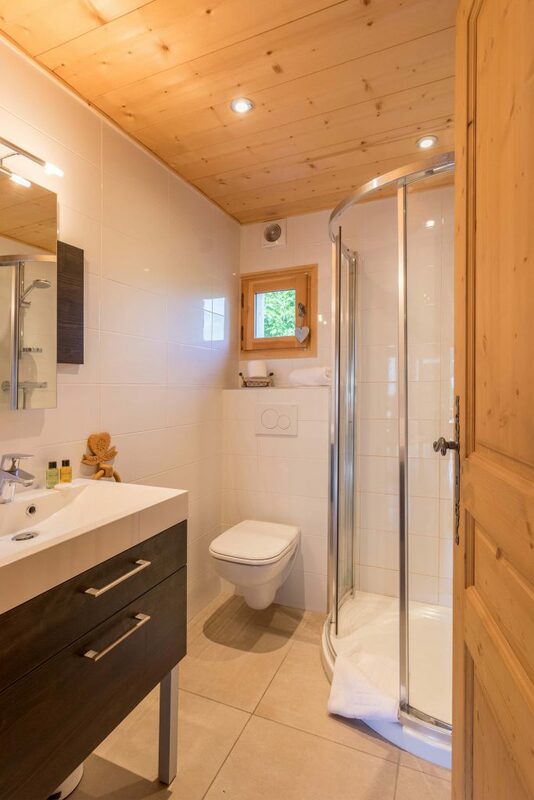 There is a new fitted bathroom with shower wc and sink unit off the main open living space. 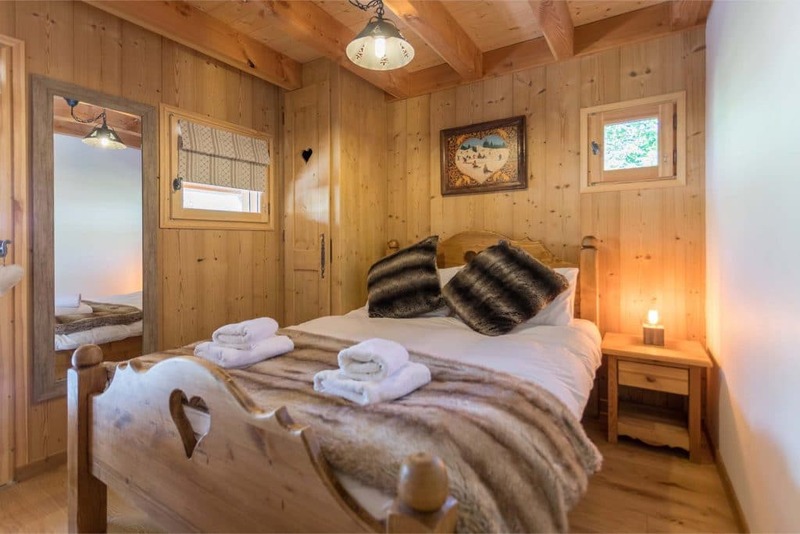 On the ground level there is a ski room, a boot room with heated boot warmers, a laundry room with washing machine and tumble dryer a games room and private parking. The kitchen is modern and well equipped with plenty of work top space. 4 ring hob, full size oven, microwave and dishwasher make catering for your holiday a breeze. The kitchen also has a table and seating for 6 so you can enjoy your meals in comfort. 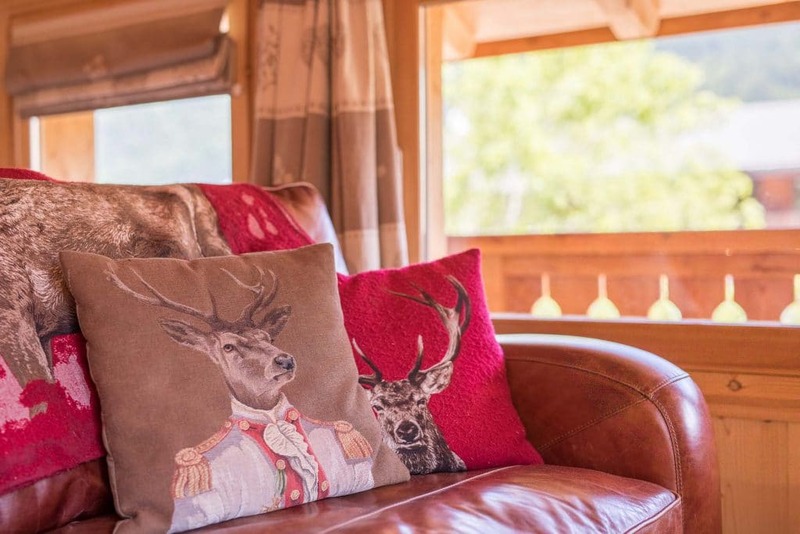 The living area provides 2 comfortable leather sofas arranged around a log burner and large flat screen tv with uk freeview channels. 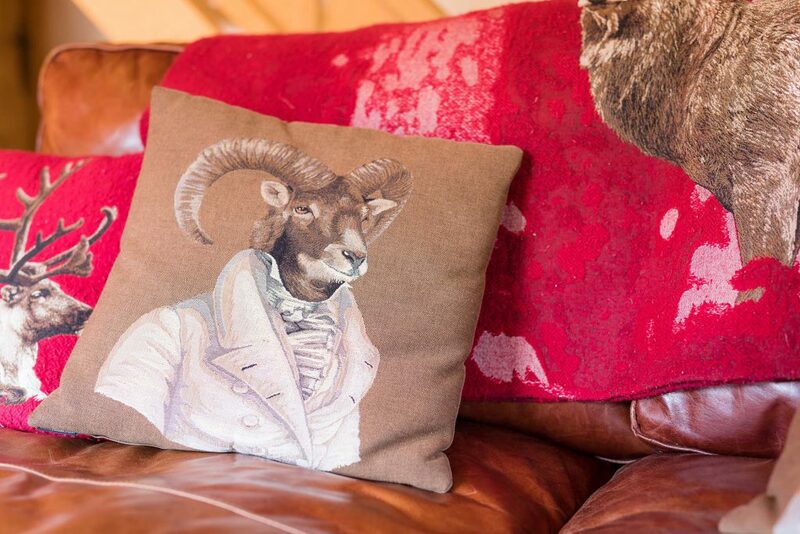 Some delightful mountain views can also be seen from the lounge. 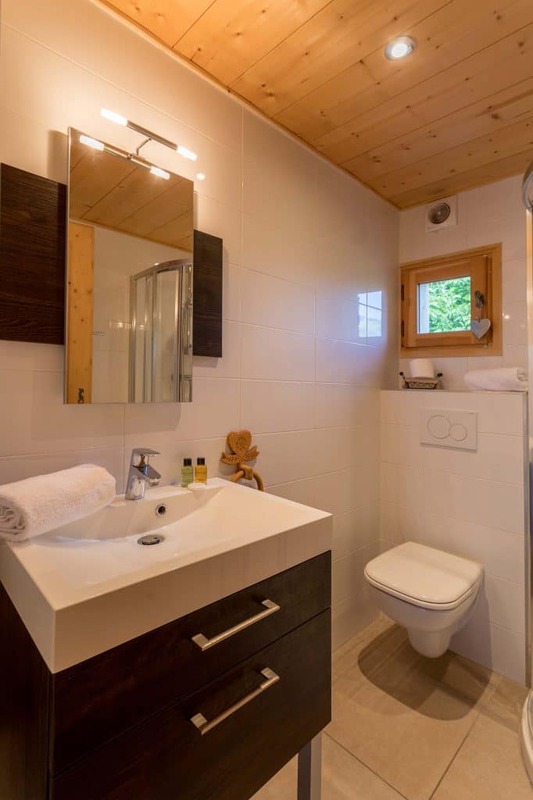 2 bedrooms with double beds are accessed off the main living area. 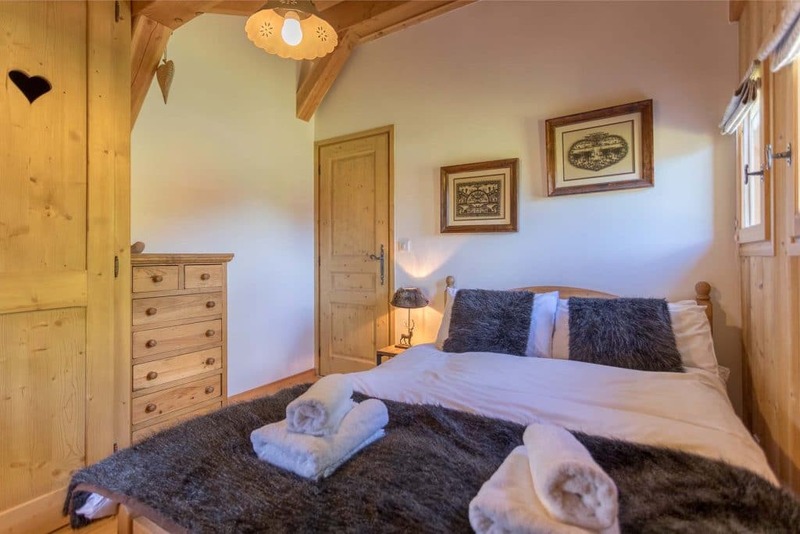 Both are furnished to a high standard and have plenty of storage space with fitted wardrobes and chests of drawers. 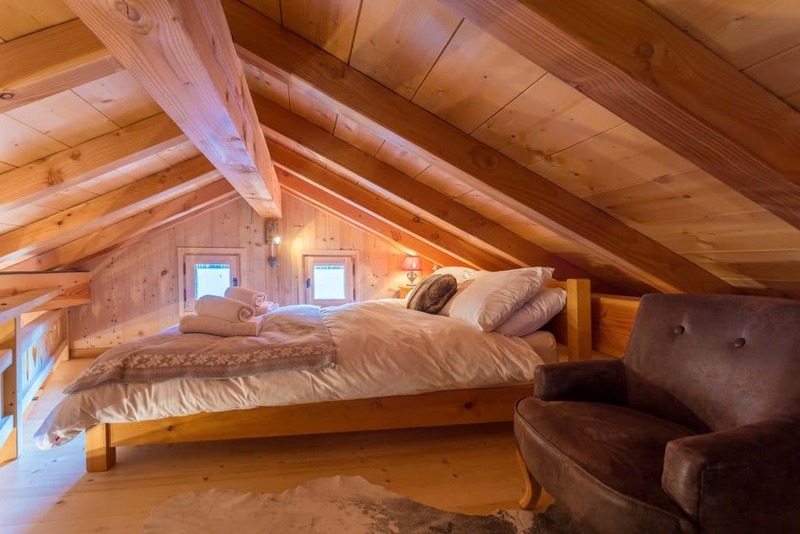 Further sleeping arrangements are provided by the large mezzanine which comprises 2 more double beds. Although the floor space of the mezzanine is large the height is very restrictive. 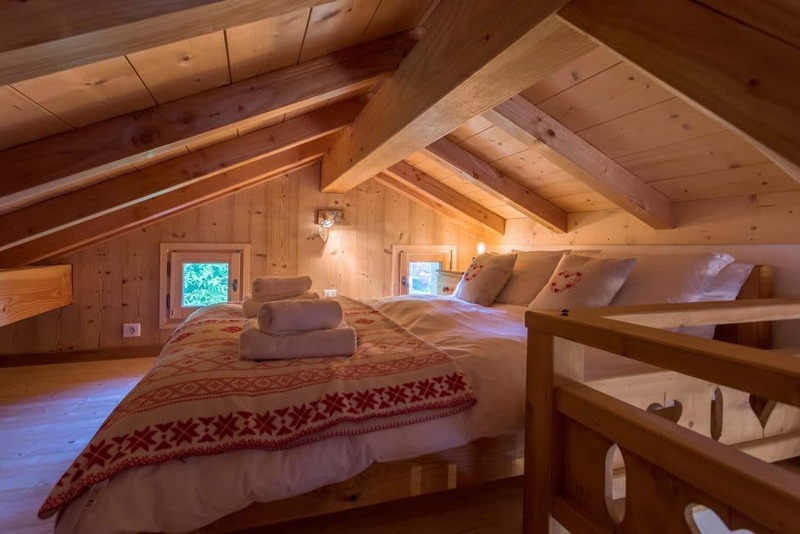 So please be aware that this is a sleeping space only and suitable for children or adults that don’t mind a very low ceiling to access the beds. 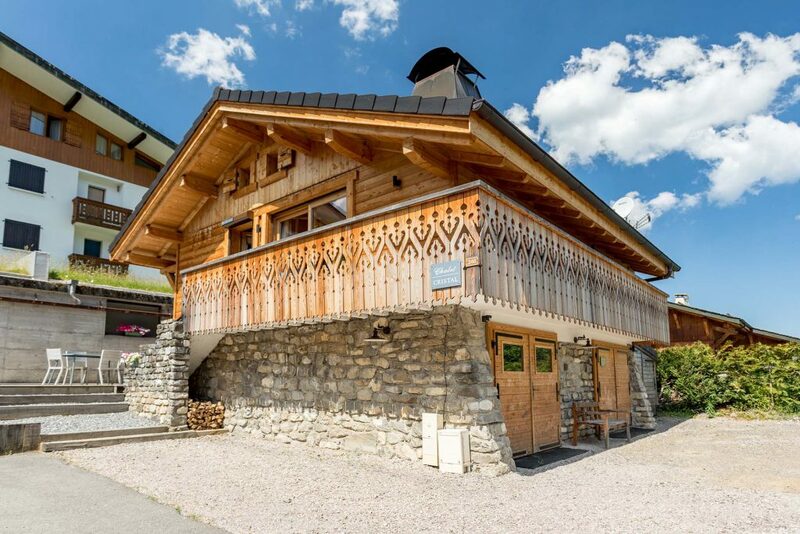 The chalet benefits from a separate boot/ equipment room with boot dryers and plenty of equipment storage. 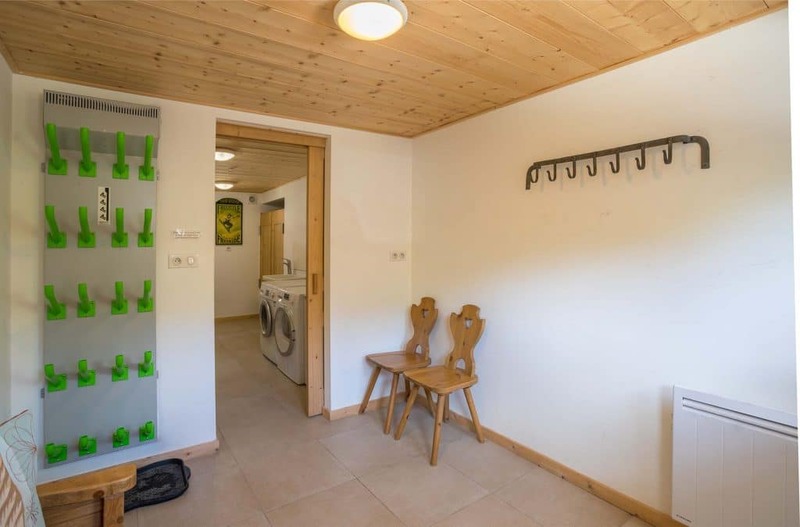 From the boot room a utility room is accessed which provides a washing machine, tumble dryer, freezer and separate wc with sink. 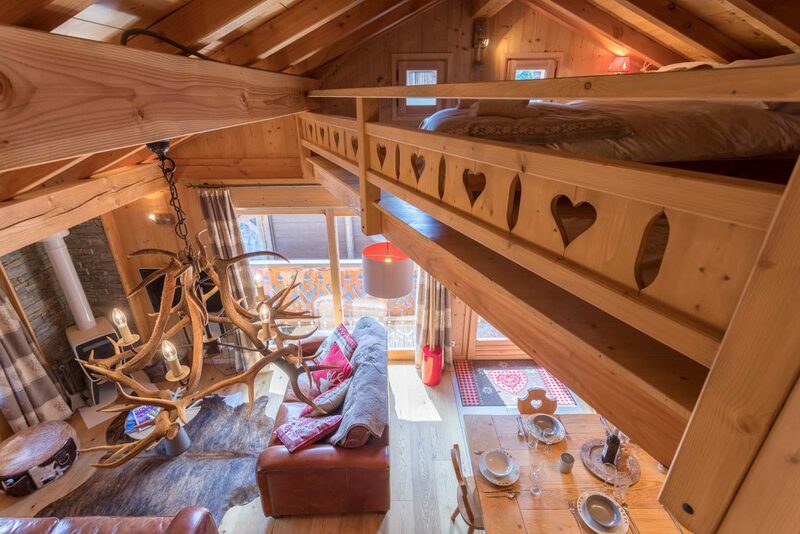 From the utility room a set of internal stairs leads up to the main living area of the chalet. These steps are steep and not suitable for small children but a child stair gate is available. 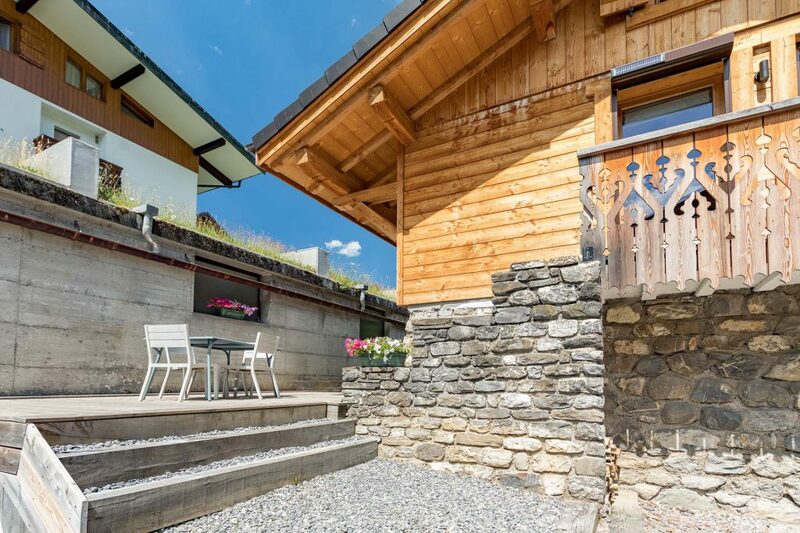 The main entrance to the principal living area of the chalet is accessed from a set of external steps at the side of the chalet. For summer bookings there is plenty of secure storage for bikes with access to an outside tap. A small external decked area provides the chance to make the most of the sunny summer and winter weather with outside dining furniture and a bbq available. 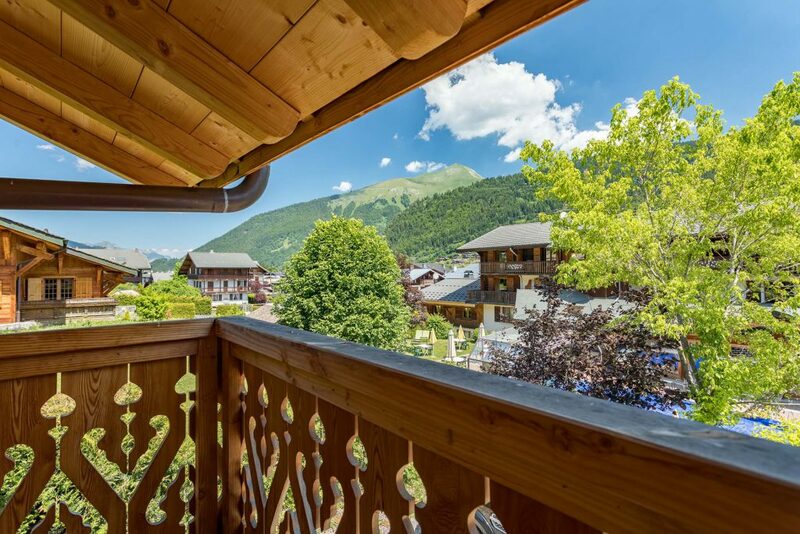 Located in a set back position behind another larger chalet, on a quiet road yet still in Morzine town centre. 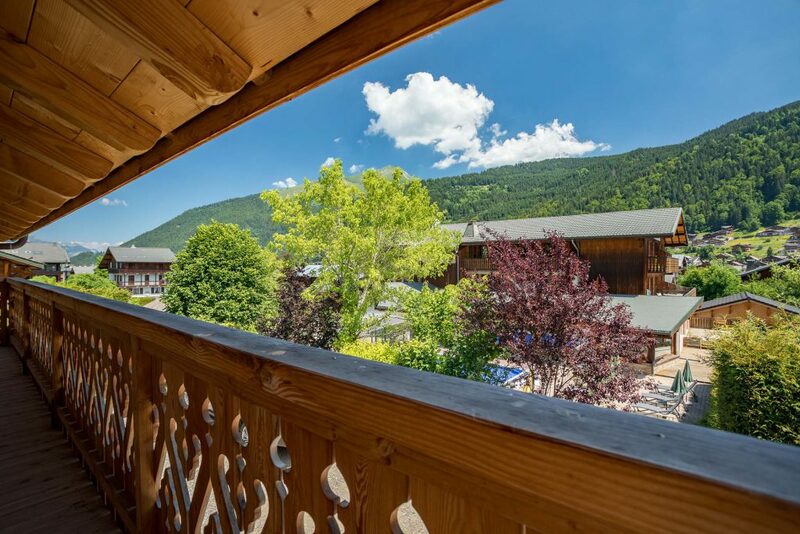 The shops are a 2 minute walk away and the ski lifts both Pleney and Super Morzine are 5 minutes walking, plus it is a 1 minute walk to the nearest bus stop and there is private parking. A great size for a family We stayed 8 nights in late December and we were blessed with heaps of snow. 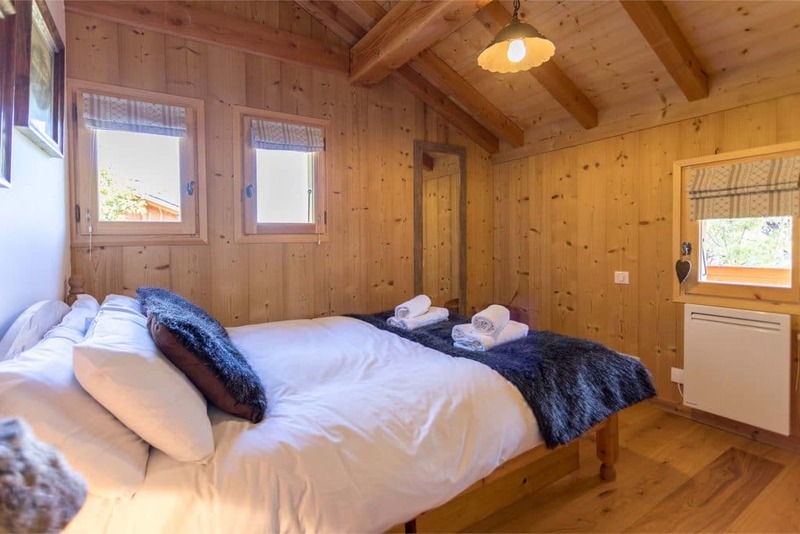 The chalet is a great size for a family and is within easy walking distance of both gondolas and the shopping area. One of my teenagers stayed in the mezzanine without any problems. 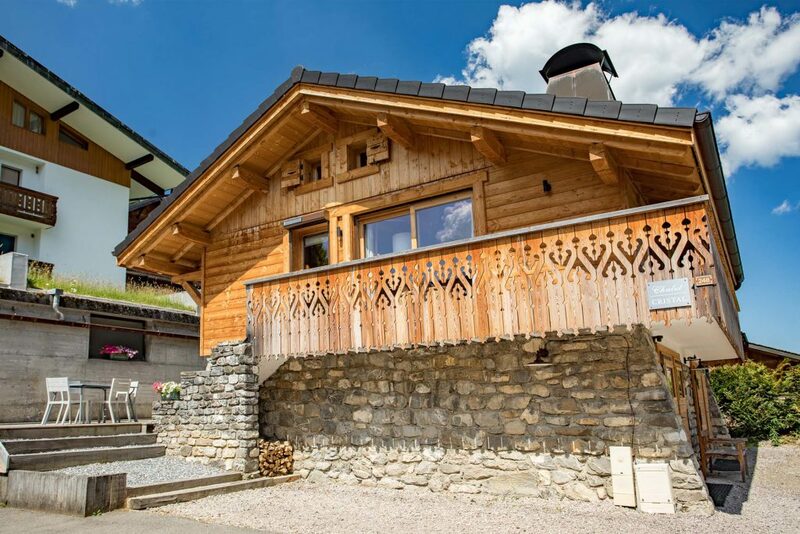 Chalet Cristal is a little gem minutes walk away from both the Plenny and Super Morzine lift. Quiet, yet central, we enjoyed a super week skiing everyday in sunshine. 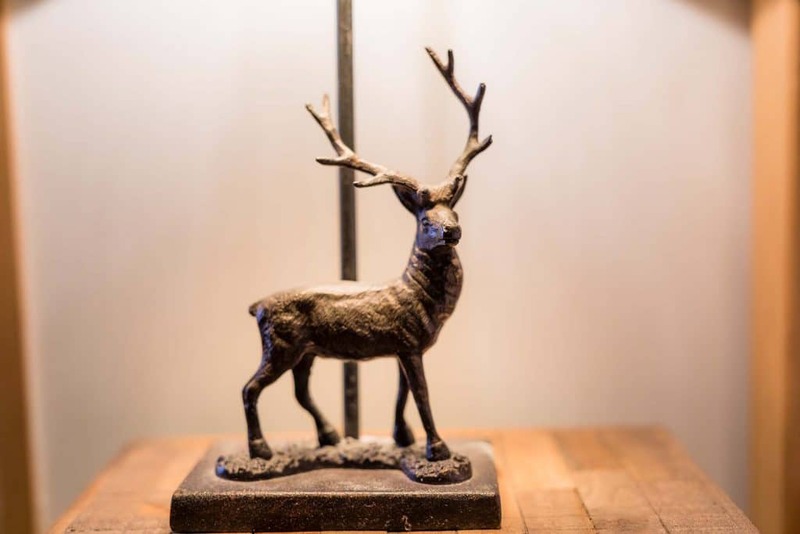 Off road Parking outside is great and everything is set up to make your week easy . 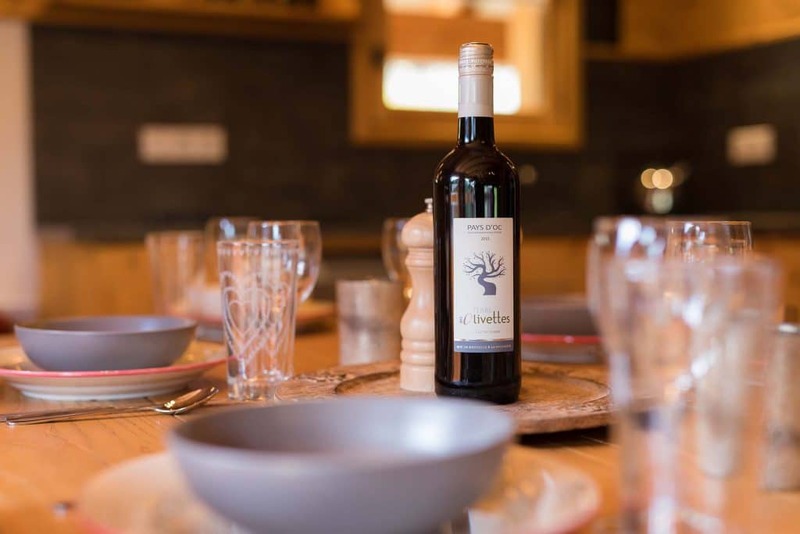 We were welcomed with a nice bottle of wine and a get you started welcome pack. Walking into town is a cinch. 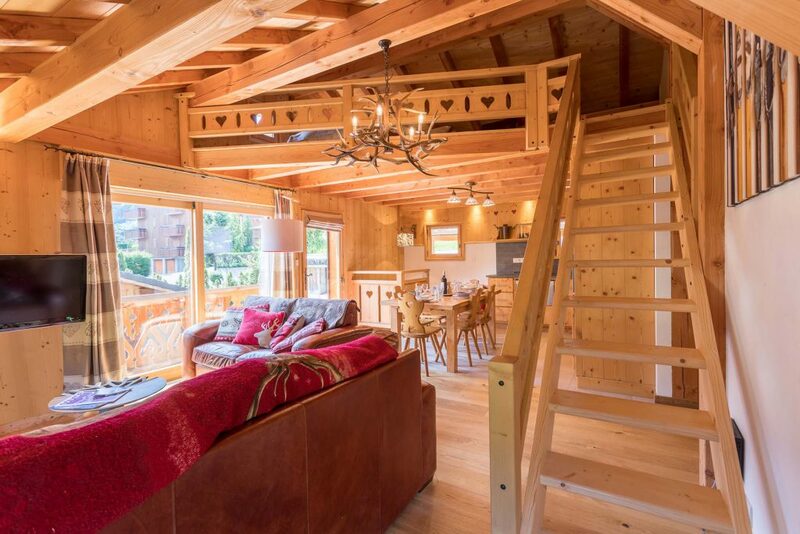 We will certainly consider Chalet Cristal again when we ski Morzine. Great value. Great fun. We stayed 8 nights in late December and we were blessed with heaps of snow. 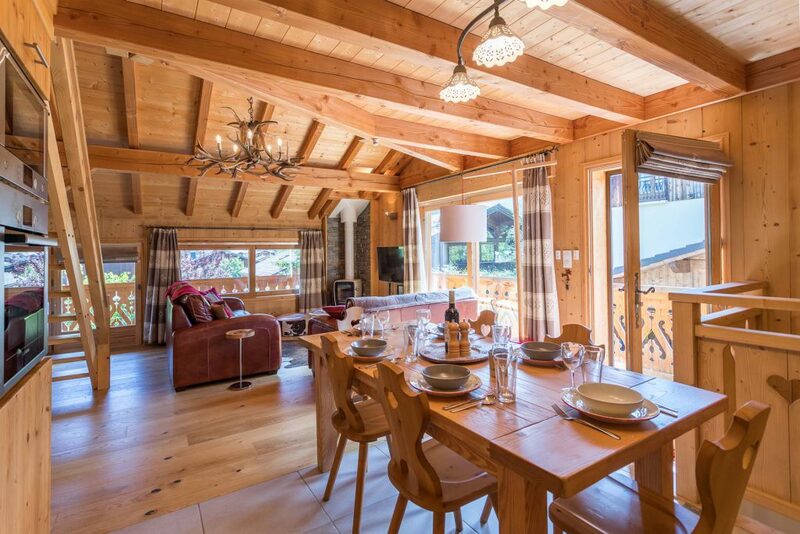 The chalet is a great size for a family and is within easy walking distance of both gondolas and the shopping area. One of my teenagers stayed in the mezzanine without any problems.